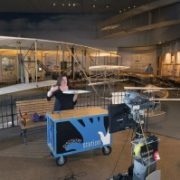 Smithsonian Affiliations thanks guest author Tim Grove, Chief of Museum Learning at the National Air and Space Museum for this post, and for his support of Affiliates! I recently had an incredible visit to the Abbe Museum in Bar Harbor, Maineâ€™s only Smithsonian Affiliate. 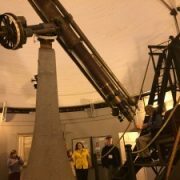 Iâ€™ve been going on vacation to Mount Desert Island for a number of years and had been encouraging my friend, Cinnamon Catlin-Leguko, President and CEO of the Abbe, to consider the Affiliates program. The Abbeâ€™s collection and mission focuses on the Wabanaki nations and the affiliations program seemed a good fit. On my visit to the Abbe last year, I was happy to see the new Smithsonian Affiliate flag flying out front. I was also intrigued to watch master canoe builder David Moses Bridges (Passamaquoddy) building a 14â€™ traditional birchbark canoe in the Wabanaki style. It was thought to be the first time in one hundred years that a traditional native canoe had been constructed on the island. Museum visitors could observe the process and learn about the skills involved. (Click here to see images of building the canoe.) Â After 200 hours of gathering and processing materials and 500 hours of building time, the work of art was completed. 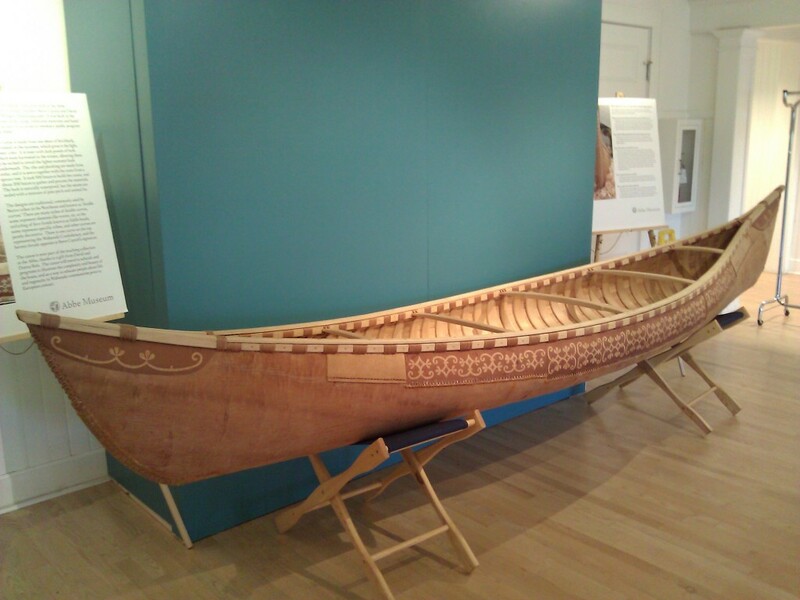 The Abbe staff officially launched the canoe last September and it became part of the museumâ€™s teaching collection. In a new educational program, students could learn about traditional native craftsmanship and ingenuity. This year on my return to the island, Cinnamon invited me to talk about my new book, A Grizzly in the Mail and Other Adventures in American History. 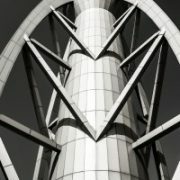 Itâ€™s an eclectic look at some of the projects Iâ€™ve worked on during a career at some of Americaâ€™s most popular history museums, including three Smithsonian museums. I used to manage the National Museum of American Historyâ€™s Hands On History Room and am an experiential learner. The book is filled with examples of my hands-on adventures. So, guess what I really wanted to do? Go for a paddle! Abbe educator George Neptune and his cousin, canoe builder David Bridges, graciously agreed to facilitate my wish. The canoe had never been on the ocean before. 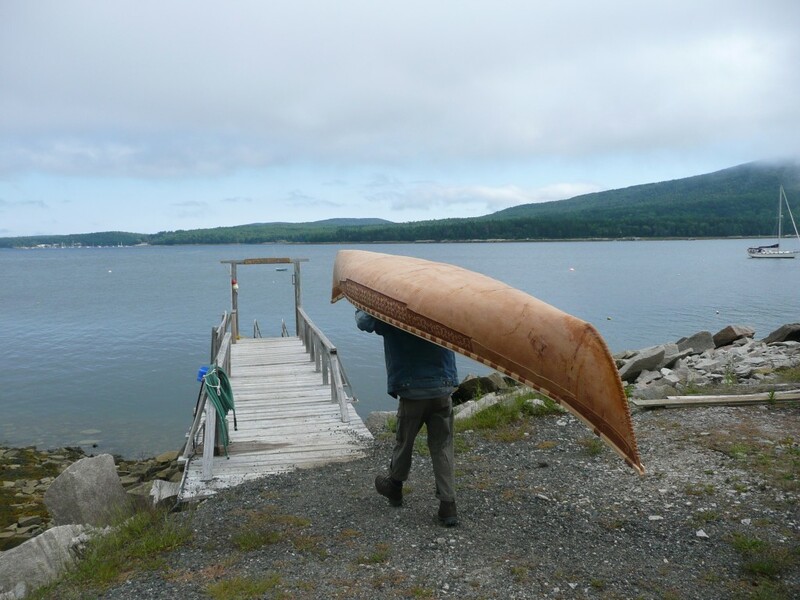 They brought the canoe to a dock on Somes Sound (â€œPihcicihciqipisipiqeâ€ in the Passamaquoddy language!) a long sliver of ocean slicing the island almost in two. The canoe only weighs 52 lbs. out of the water, but in the water is designed to carry 700-800 lbs of supplies. First David and I took it for a ride and then David let me go solo. 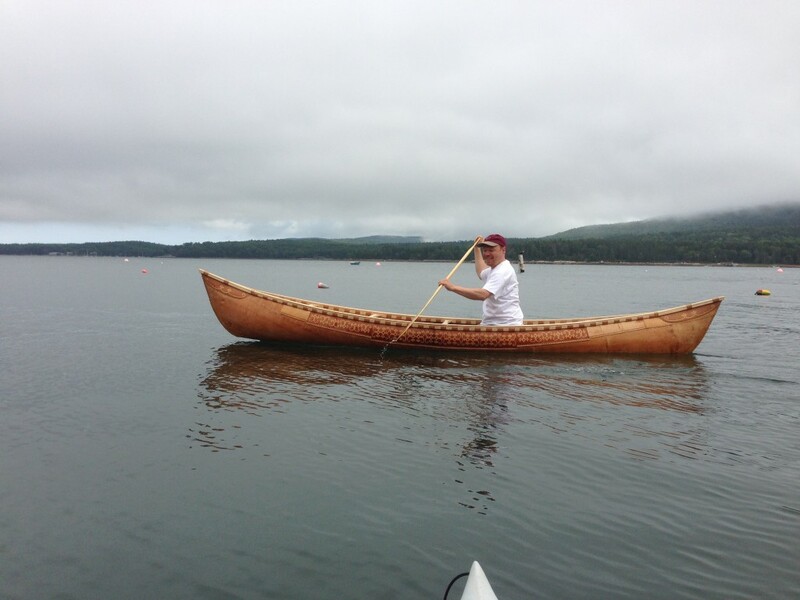 Smithsonian educator Tim Grove paddles in the Abbe Museum’s homemade canoe in Maine. As I glided through the water I marveled at the ease of travel, while trying to stay low and maintain balance. I wasnâ€™t used to sitting on my knees to paddle. The gray sky and placid water were perfect conditions for this new hands-on history opportunity. I shared some of my history stories a few nights later at the museum. I talked about my experiences on the Lewis and Clark trail with native teachers, of the challenges of telling Shoshone Indian Sacagaweaâ€™s story, and of the incredible insight that tribal advisors offered about pipe ceremonies and other native customs. I shared my favorite story about the corn mill and the Mandans and cultural misinterpretation. And, Cinnamon interviewed me about working at a national museum. The audience asked fascinating questions and once again, I realized how much fun Iâ€™ve had on my history adventures. Affiliates, if you would like to bring Tim to your museum to talk about his book and hands-on history experiences, please contact your National Outreach Manager. A quintessential shot of the great state of Maine! Road Report: Houston, We Have Affiliate Liftoff! 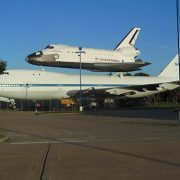 road report: Harold in San Antonio Road Report: Houston, We Have Affiliate Liftoff!